VOTED BEST Commercial Roofing Services - Beneficial Roofing | VOTED BEST Roofing Company, Call Us Today & See Why! As the business world competes to survive, more businesses are cropping up in the marketplace with the most suitable office space to draw better consumer attention. Although the Internet is an excellent platform in attracting more consumers for more businesses, most companies need to have a physical office, showroom, storage or a warehouse, as well as factories and production sites. These premises are commercial outlets which require buildings that can accommodate the needs of different businesses. Such premises would allow consumers to walk in to check on the services and products, and be assured of the existence of the company. Hence, a strong, secure and well-built structure or building for a business is crucial. With the wide choices of commercial buildings in the market, companies must also check on the condition of the roof. A leaking or damaged roof can be costly to the company as the products, machinery, equipment and tools can get compromised and be easily destroyed. Workers inside the building may also experience bad health and harm, from the poor condition of a roof structure. A poorly structured roof for an office, warehouse, production plant or factory can cause a lot of problems to the business. Products stored or manufactured in buildings with substandard roofs can cause the products to go bad or become spoiled easily, which may incur a great loss of income to the business. Roofs on commercial buildings that are not ventilated well can cause draughts in the building, creating a bad flow of air to wasted air conditioning while adversely affecting both the employees’ and consumers’ health. Commercial businesses that want to lower their maintenance and operation costs should consider professional commercial roofing contractors who can evaluate and identify the right roof for their business building. And Beneficial Roofing is here to help! Our roofing contractors are qualified and experienced with the different types of building a business may be housed in. Some commercial buildings are single story, while others may be of several stories. With our extensive experience and remarkable know-how, we are flexible to handle any type of commercial roofwork. The different types of building used for commercial purposes must have the right types of roofs to ensure that the business operations proceed smoothly throughout the year. There is a need to have a secure and appropriate roofing service contract by business owners to check on the condition of their business’ building roofs regularly. Extreme weather conditions may cause major damage to the roof; so it is a very good idea to have it regularly inspected for various weather conditions over time. 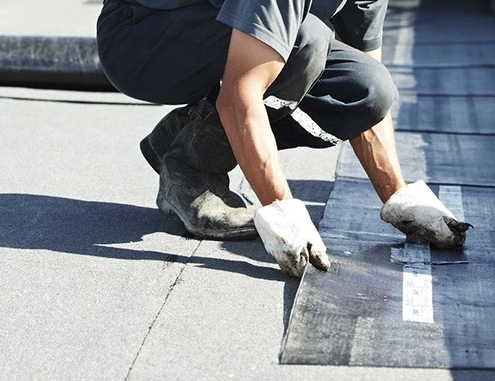 Hence, it is crucial for a professional commercial roofing contractor to be hired in eliminating any potential roof problems that could hinder the business operations. Beneficial Roofing has an outstanding team of roofing experts, ready to be of help. 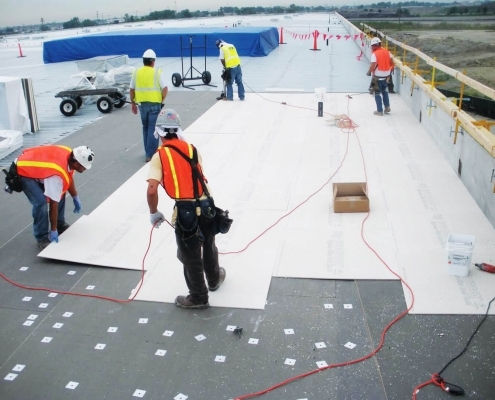 Industrial roofing specialists must be experienced contractors in handling industrial roofs and coverings. There is a heavier investment with a larger scale task on hand. These specialists for industrial roofs must be able to evaluate the condition of the premises carefully, to identify potential problems and difficulties in building and maintaining that would befit the operations within. A new industrial building requires the expert opinion and advice of experienced and qualified industrial roofing specialists to identify the right types of materials for the roof. 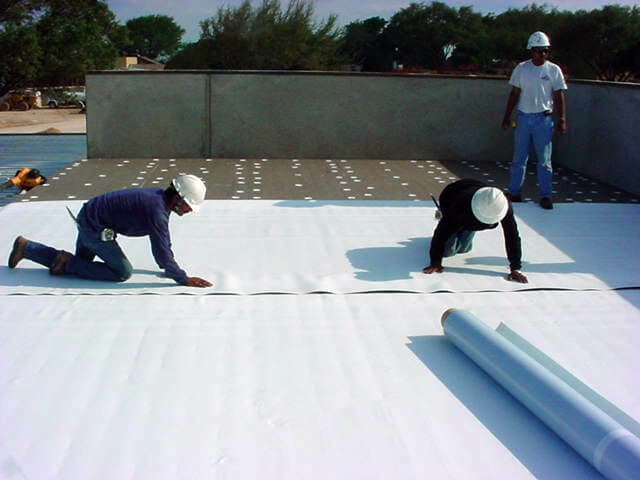 The exact calculation for the covering using specific materials must be accurate and appropriate, regardless of the cost. 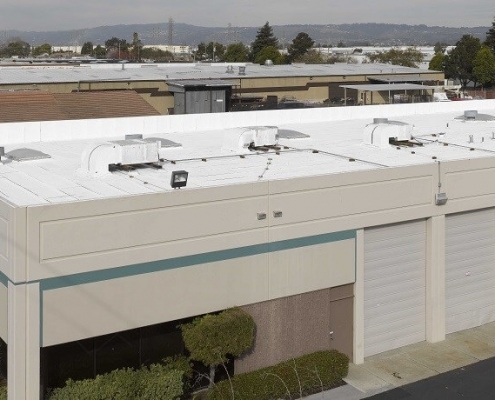 Good industrial roofing specialists should be aware of the types of weather conditions that would impact the industrial roofs besides other potential problems such as pests and human misdemeanors. Call Beneficial Roofing now and talk to one of our driven, industrial roofing specialists for your commercial roofing needs!